Third annual prayer meeting and worship jam session for Arlington, TX. Open to the general public. 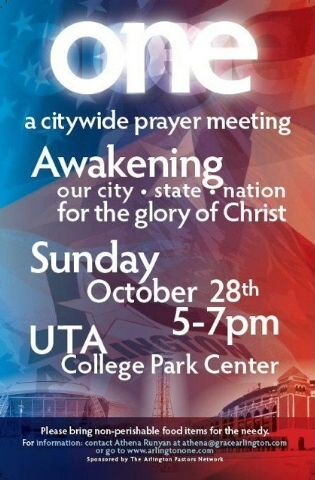 This year features pastors and worship leaders from the entire city coming together to promote Jesus in a major way. At the new UTA College Park Center facility- host to Bill Nye, Drake, Lecrae, Rick Ross, and many more. Osato will participate in performing a rendition of “How Great” from the worsHIPHOP album.